Kaleidoscopic, mesmeric and mind-blowing best describe teamLab's Dance! Art Exhibition, Learn & Play! Future Park, a brilliant interactive digital art show staged at the OCT Creative Exhibition Center in Shenzhen, China. Occupying 4,000m2 of exhibition space, it runs until 30 November 2017. 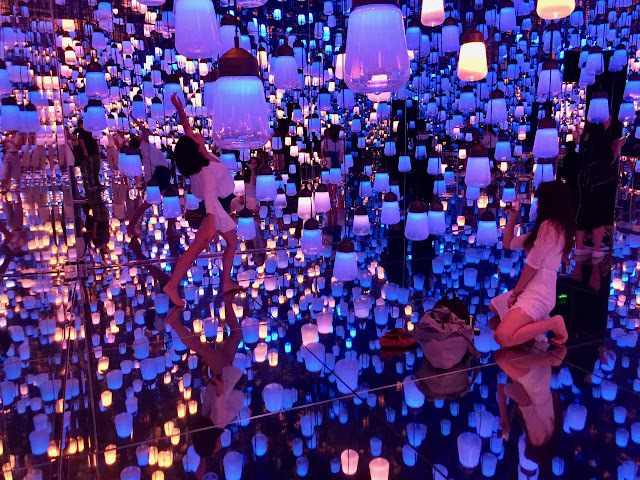 The exhibition unveils six of teamLab's representative interactive installations together with eight 'games' that nurture kids' imaginations. The pieces are inspired by the natural world - from a psychedelic crystal universe to a colour-mutating flower forest emblematic of seasonal change and the temporality of life. The intricacy of the work goes far beyond mere visual loops as each visitor's movement activates changes to the digital installations. teamLab was founded in Tokyo in 2001 and the interdisciplinary art collective got its big break in 2011 when celebrated Japanese contemporary artist and gallerist, Takashi Murakami, presented a teamLab exhibition at his Kaikai Kiki Gallery in Taipei. teamLab quickly rose to prominence and has since shown internationally. Its popularity in Japan, China and the world at large signals society's ever-increasing fascination with digital art that is interactive and builds connections with and among people. teamLab: Dance! Art Exhibition, Learn & Play! Future Park from ArtworldNow on Vimeo.